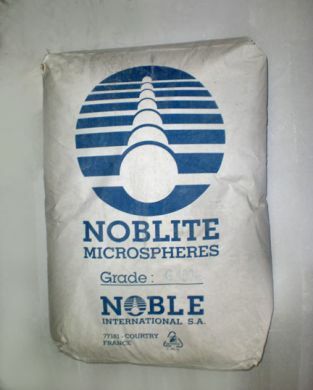 Nobilte is an extremely light weight filler used in resins and plaster mixes to reduce the weight and improve the flow or trowel-ability. it consists of microscopic glass bubbles. Because the particles are round very high loading of filler is possible before the mix stops flowing.